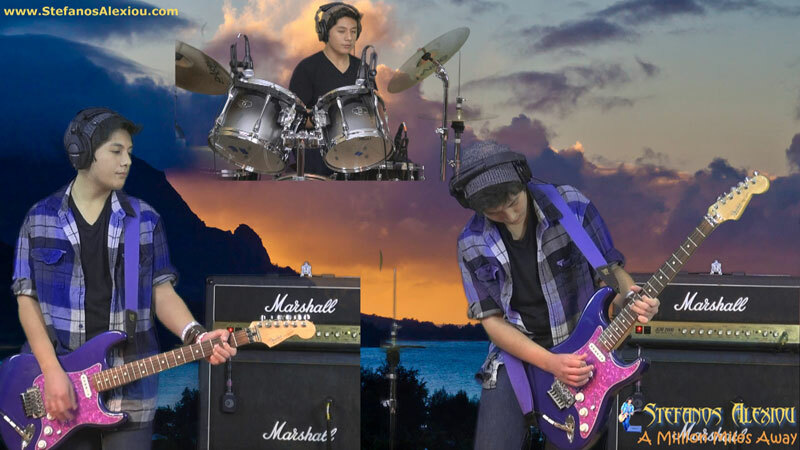 Some Important events in my young career as a musician, past performances and upcoming new performances. I feel so much blessed and I’m so thankful to Bob & Coe and all of their team at 101 KGB radio for inviting me to perform live during their live show at Qualcomm stadium prior to the Aztecs football game opener that was followed by the spectacular KGB Sky Show XXXVIII. Yesterday, Saturday August 31st, 2013 around 3 pm I performed a 3-song set during the 101 KGB radio’s “Bob & Coe Show” live broadcasting from the KGB/Aztec Village at Qualcomm stadium. It was a amazing day for me and my family and again I’m so thankful to Bob & Coe and everyone at 101 KGB radio for their tremendous support and for giving me this opportunity, besides making my day! 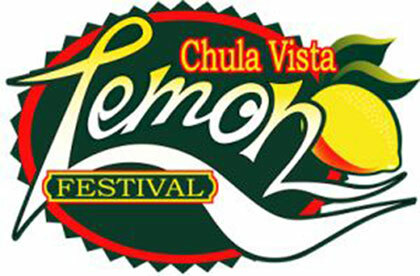 Yesterday, Sunday August 11th, 2013 I opened at Lemon Festival in Chula Vista, CA. 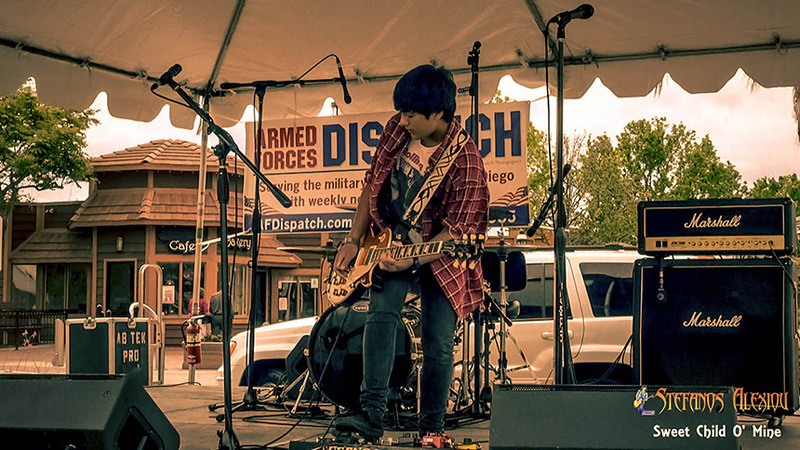 This was my first festival live performance and at the same time the first local appearance with a chance for my friend to see me performing! It was an exciting day as I opened my 5-song set with my version of “Hey Joe” by Jimi Hendrix to the cheers of a very warm and excited crowd. Thank you so much to Jovita Juarez, Event Manager for the Third Avenue Village Association who book me and made time available for my set after the bookings were closed. 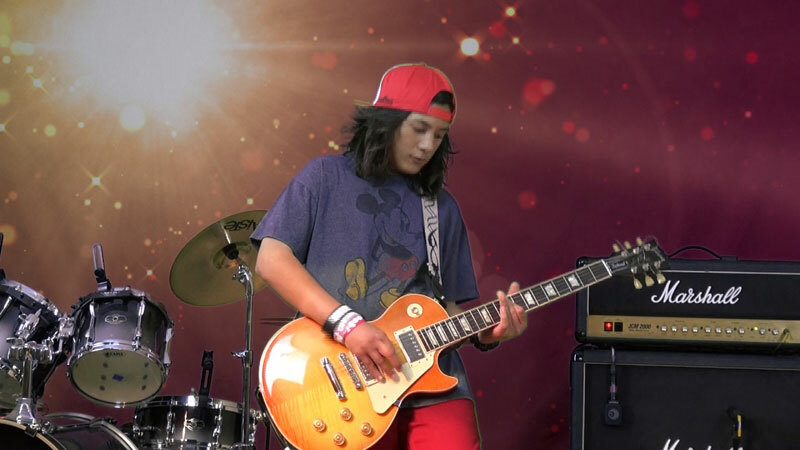 Thank you very much also to ALL who were there to support me in my first public performance in the San Diego area! 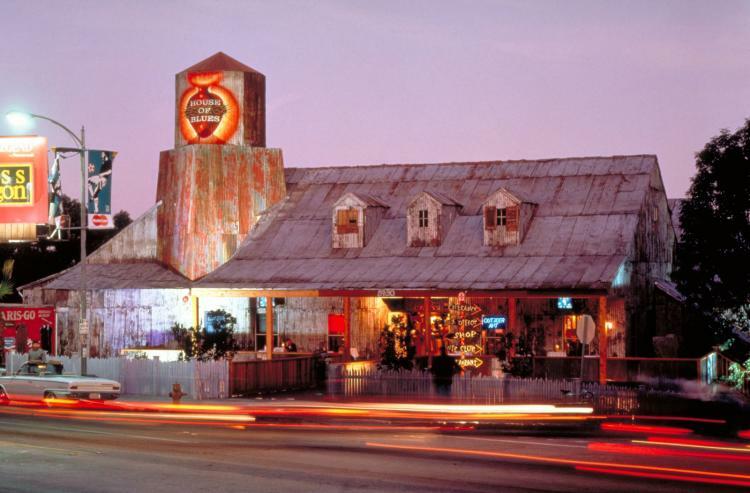 Well, yesterday Sunday, July 28th, 2013 I was back at the House of Blues on Sunset in Hollywood for my third performance in three consecutive months! This time I played a mellow down 5-song, 35-minute set that was also received very well by the crowd who was present at the Voodoo Lounge stage. I know before hand that this performance at the HOB on Sunset would be my last for the Summer since I already started school last week. Had a great summer performing there for 3 months making some of my dreams come true! Thank you to everyone at the House of Blues who invited me! After my first performance at HOB on Sunset last month I felt blessed for accomplishing one of my short term goals. To be honest I didn’t expect to be invited back to play another set for a while. However I did get an invitation, this time to play a full 45-minute set on Sunday, June 30th, 2013. 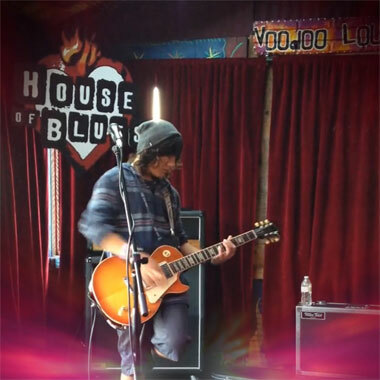 In this second appearance at the Voodoo Lounge stage at the House of Blues on Sunset in Hollywood I chose to perform a 7-song set that consisted mostly of metal covers so I can showcase my other harder side. WOW!!! One day before my 13th birthday and Bob & Coe from 101 KGB radio’s “The Bob & Coe” morning show were talking about me during their live show! What an honor that is! They also posted a link on the radio station’s website with my “Parisienne Walkways” video from last month’s live performance at the HOB on Sunset! Here’s the link to the article on the station’s website: Some People Just Have It. This 12yr Old San Diegan HAS IT! Did you noticed the title? I’m so thankful to both Bob & Coe as well as 101 KGB radio for making my day, a day before my birthday! Thank you!!! 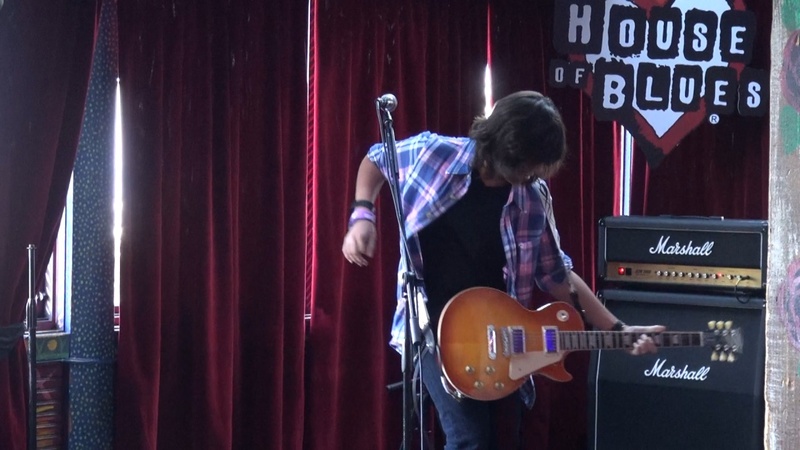 On Sunday May 12th, 2013 one of my personal goals became a reality as I performed a 5-song set live at the Voodoo Lounge stage in House of Blues on Sunset in Hollywood. Almost 2 years ago on this same venue I saw Joe Satriani, Steve Vai, Orianthi, Dweezil Zappa and my only guitar teacher (for two 1-hour tip sections) so far Tony McAlpine performing live and I set as a goal to soon perform in this venue. Well That became true a couple days ago and I couldn’t be more excited, especially hearing the crowd cheers as I was performing to Garry Moore’s “Parisienne Walkways”, one of the 5 songs that I performed that evening! 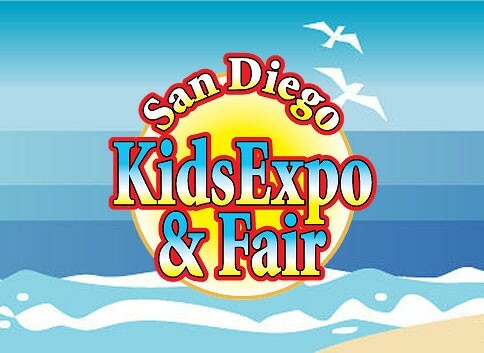 Earlier today I played a 3-song set live at the Kids Expo 2012 at Del Mar Fairgrounds. 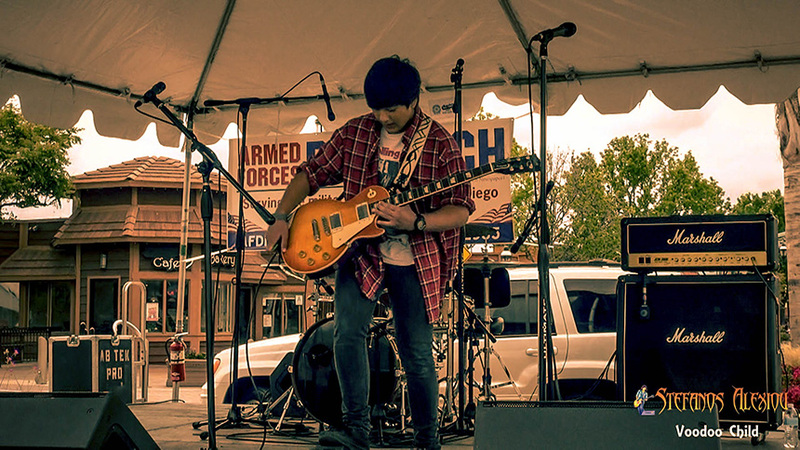 This was my first live ever outside of my school’s yearly Christmas Show. 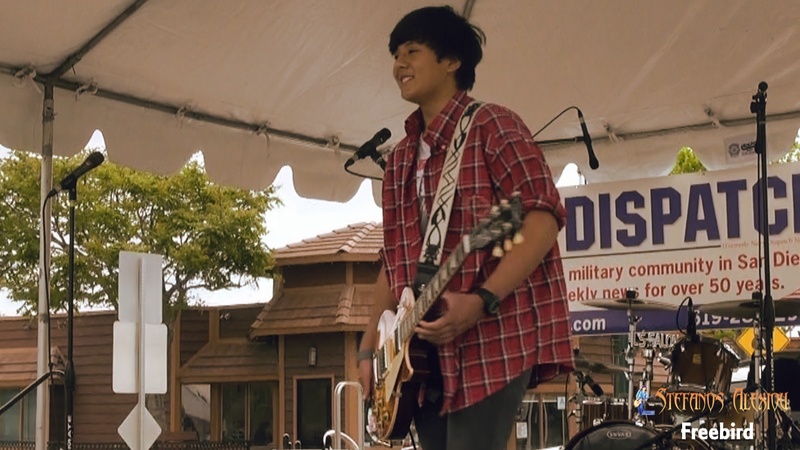 I was very excited going to this performance but after I started I realized that this wasn’t what I expected… 🙁 There were several vendor booths near the stage who started complaining that I was playing too loud and Mark kept turning my amps volume down throughout my performance. 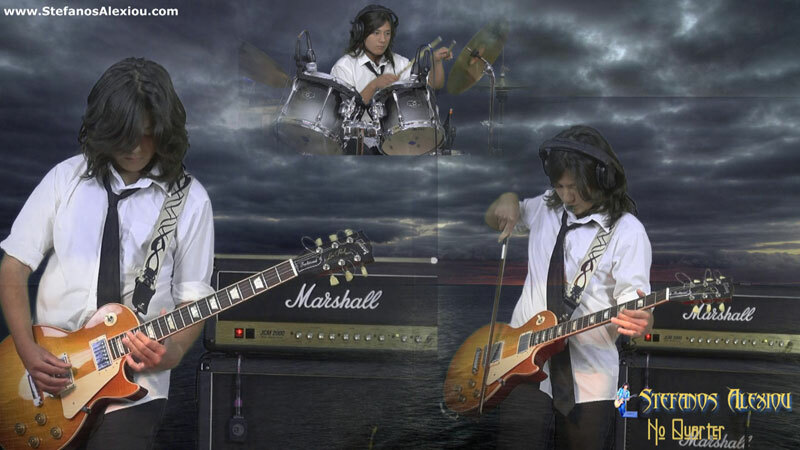 Thank you Steve Vai and your team again for such an honor to showcase another one of my videos. I’m speechless! 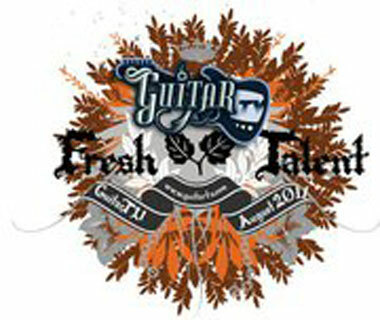 This was the second time that one of my videos was featured on GuitarTV’s bi-monthly hourly “Fresh Talent Showcase” program. Thank you Steve Vai and your team again for such an honor to showcase another one of my videos.